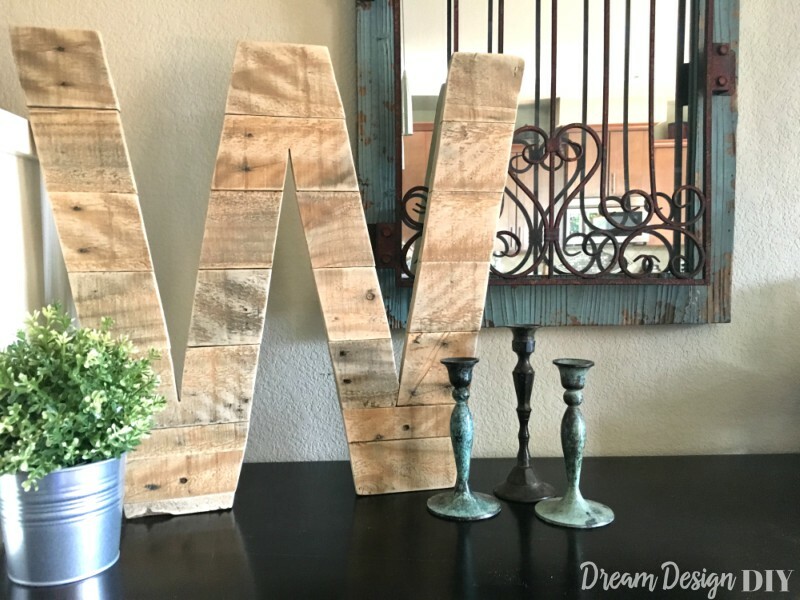 Do you love pallet wood and pallet wood projects? 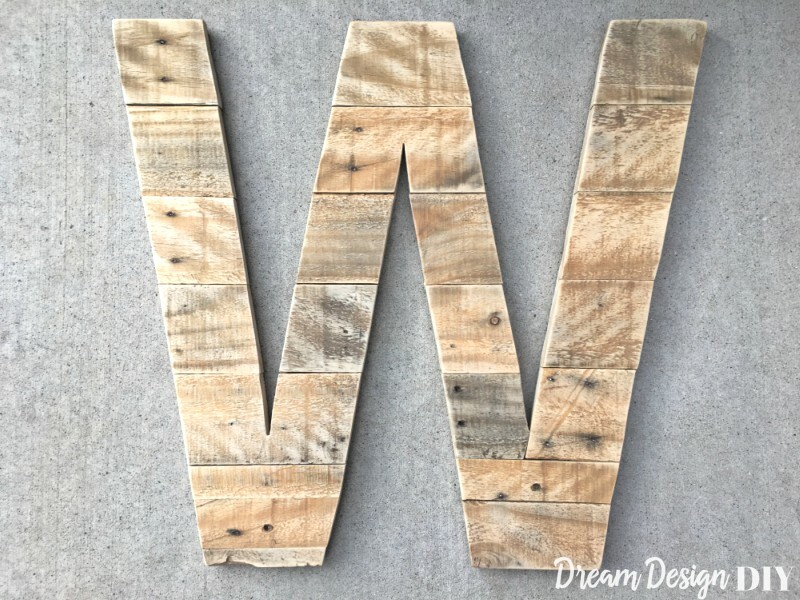 Not only do I love the reclaimed rustic look of pallets, but I also love the price…FREE! 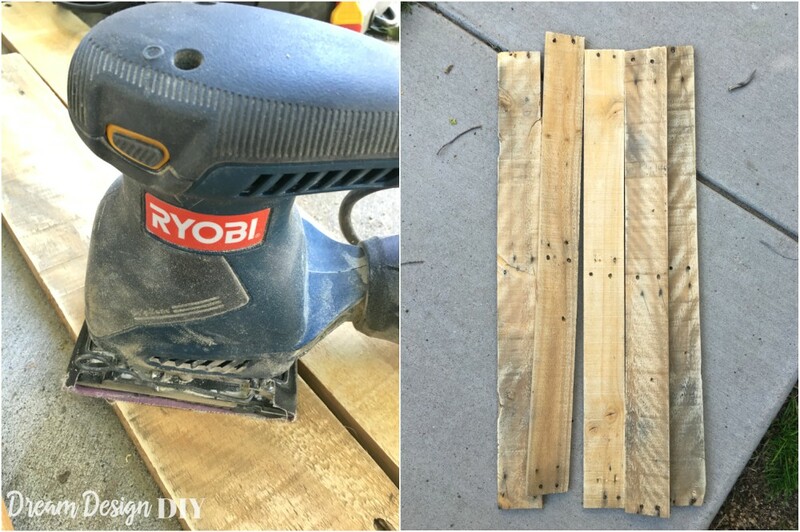 Before I dive into the Pallet Wood Letter, here are a couple more pallet projects I have made from pallets; the Pallet Recipe Stand and Pallet Wood Arrow. Step 1) I made my letter in Word using the Arial Narrow font. Once I got the desired font look I came up with an approximate size I wanted the pallet letter to be once complete, which was around 23 inches wide x 21 inches tall. I then used Block Posters to create a large sized W.
Block posters will tell you the image size prior to saving. I chose the three pages landscape orientation, which ultimately took up a total of six pages for the letter. Block Posters only uses certain file types so I used Online Convert to convert my Word document to a jpg. After printing the letter, I cut it out and taped it together with masking tape. Step 2) I traced the paper letter on a piece of pressed plywood big enough to accommodate the letter. Then I cut it out using the Rockwell Bladerunner which is like an upside down jigsaw. 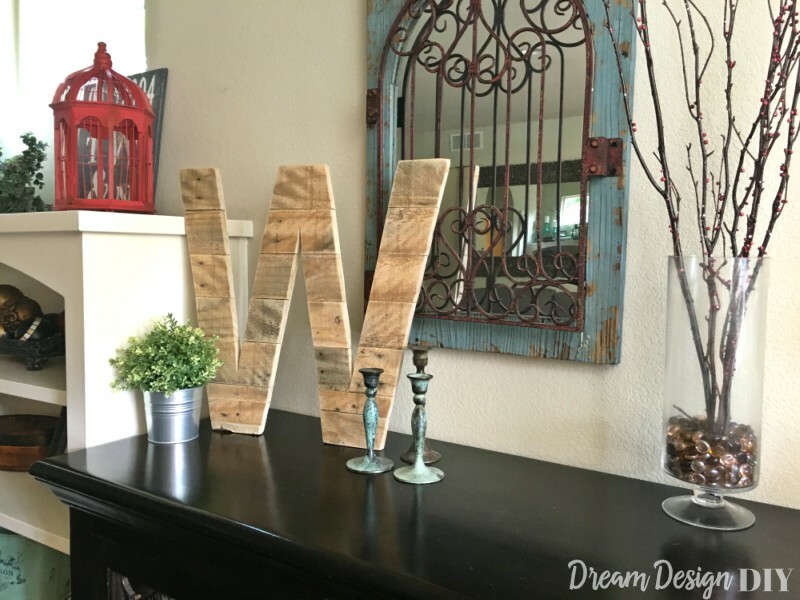 The letter doesn’t have to be perfect because the pallet pieces will be glued on top of the pressed plywood letter. Step 3) I grabbed several pallet pieces and sanded them. Then I laid the pallet pieces out under the pressed plywood letter and traced the letter to make my pallet cuts. I traced the pallet pieces facing up. Step 4) Since my letter is all straight or angled edges I was able to use my miter saw to make my cuts. If you by chance are making a W as well I used an angle between 9-11 degrees. Use a jigsaw if you have a more curvy letter like C or S. To get the pallets cut just right was a little tricky and it often took multiple cuts to get it where I wanted. I found it easier to cut one piece at at time and glue it before cutting more pieces. This way I was able to line up the pallet pieces over the pressed plywood letter as well as get them as straight as possible. 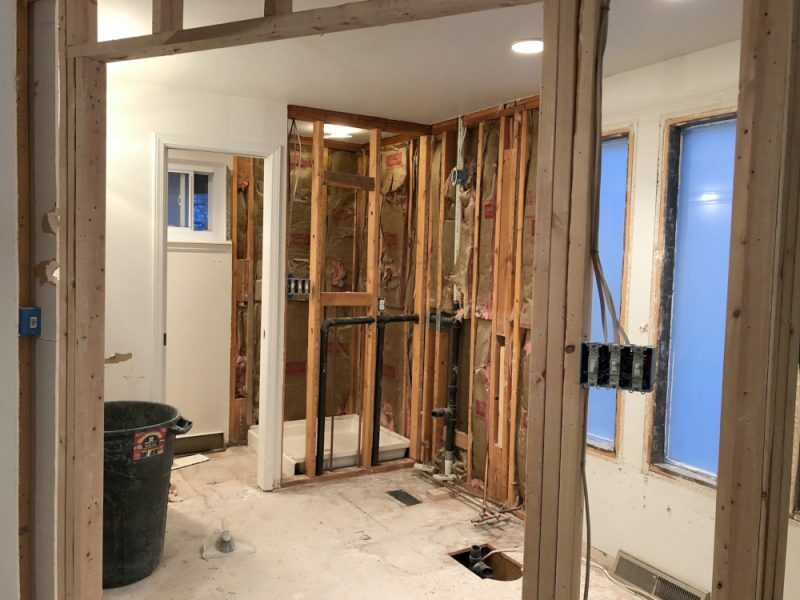 I used a square to help with this process. In place of nailing the pieces together I used wood glue and hot glue to adhere the pieces in place. 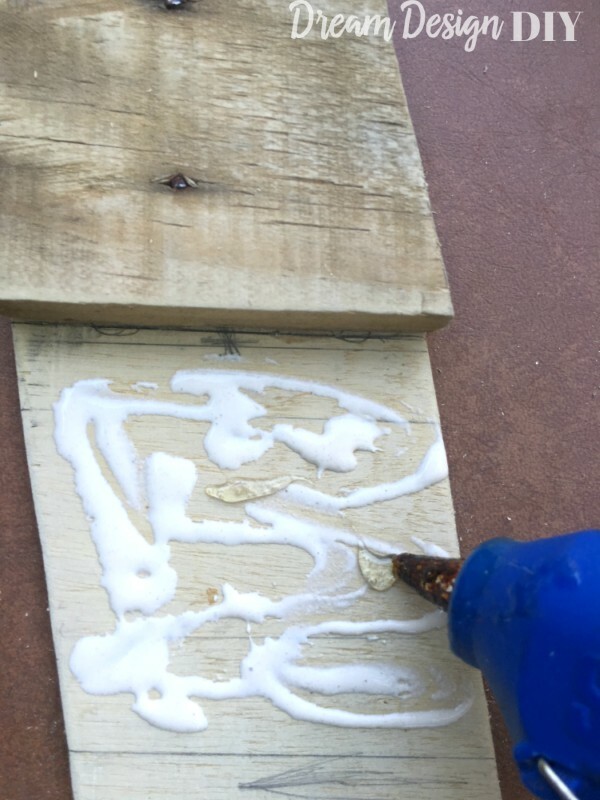 Hot glue is used because it sets very quickly holding the pieces in place until the wood glue is set. 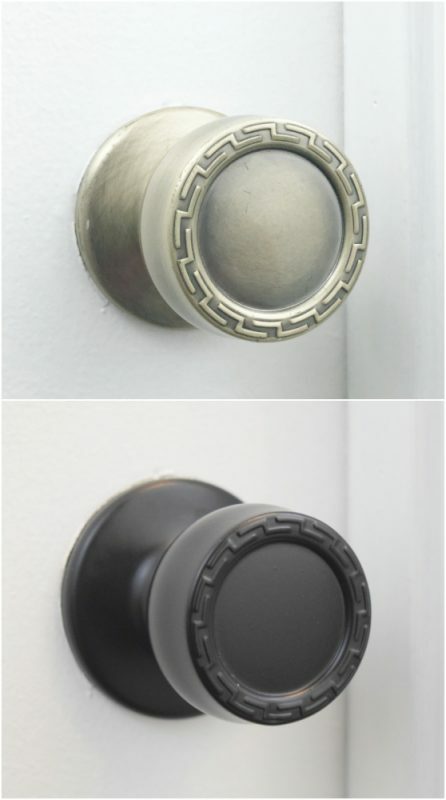 In a way it acts in place of nails. Once all the glue was set I sanded the entire piece. Per wood glue directions wait 24 hours before sanding. Then I put it in its designated place. 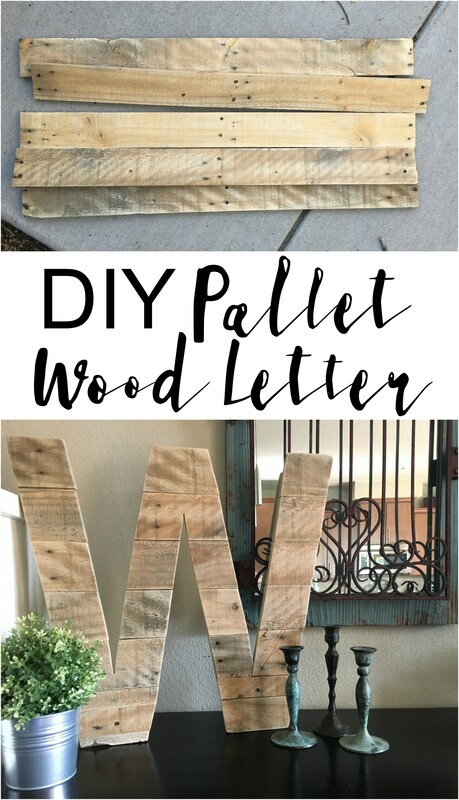 I love the look of using a wooden pallet to create a letter. I would love to be able to create my own letters for the initials of my husband and I. 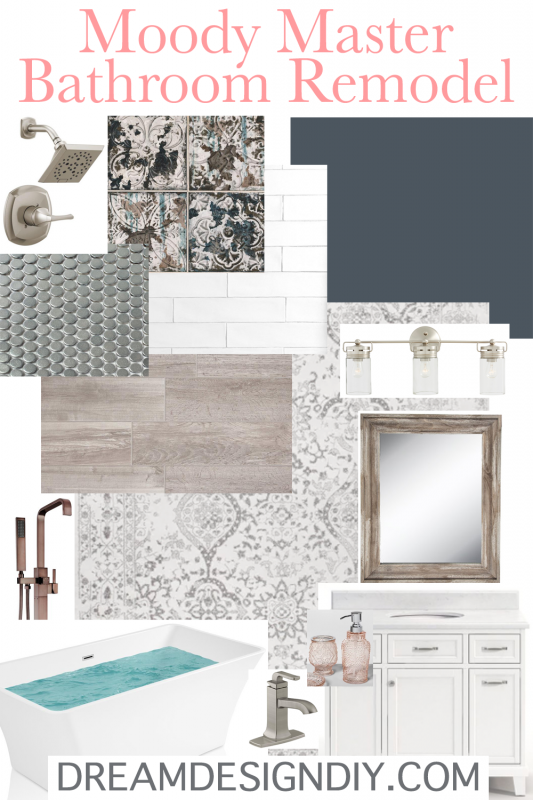 These are very detailed tips, and it will make it easy when I start the project! 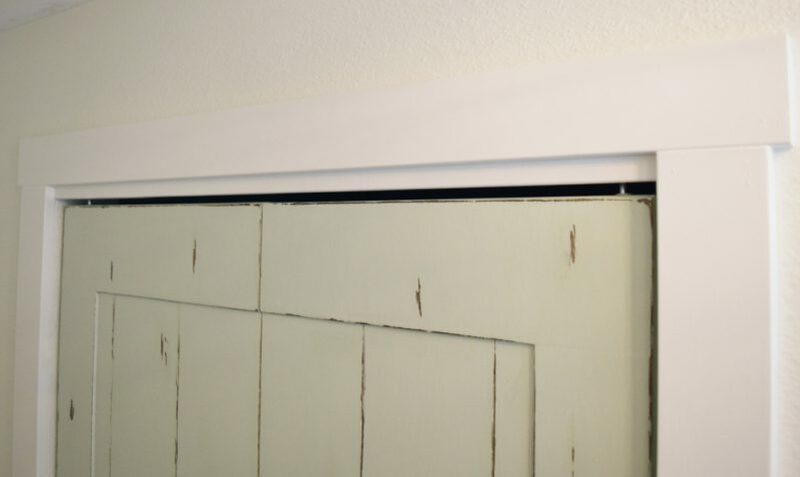 It would also be a good idea to stain the wood if you want a different color. But, I think the original color of the pallet looks great! Hey Kendall thanks so much for checking the pallet letter out! You have great ideas. Have fun and would love to see your letter when your done.